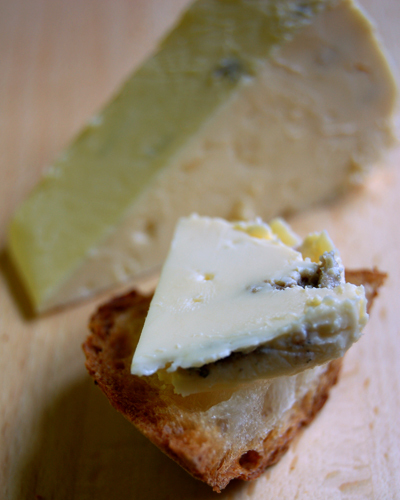 Tarago River Cheese was started in 1982 by the Jensen and Johnston families with 250 acres and 300 cows. Today they have grown to more than 850 acres and 800 cows. The dairy is located on the main road that links Neerim South to Mt Baw Baw. In fact during winter, most weekends we'd stop over here on our way to Mt Baw Baw for some of their fabulous cheese. Unfortunately, the cellar door isn't open any longer - the space was needed as demand for their cheese increased. 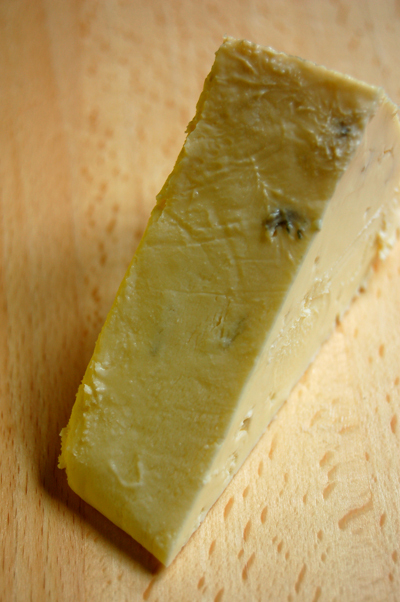 The cheese I'm looking at today is one of Paalo's favourites - just its name is enough to send him misty eyed. Shadows of Blue as the name tells you, is a blue cheese, made in the style of a Blue Castello. 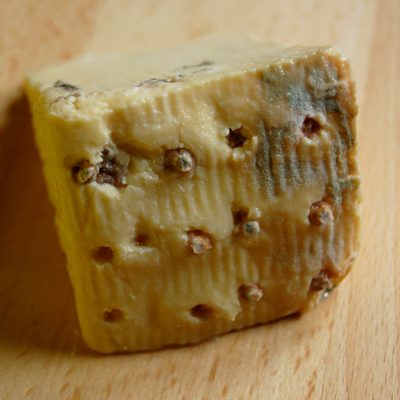 Penicillium Roqueforti cultures are used to produce this creamy but mildly flavoured cheese. The photo below clearly shows the injection marks. Even though it looks like it would be heavily veined, it isn't. This really is the type of blue that even an avowed blue hater should be able to eat. 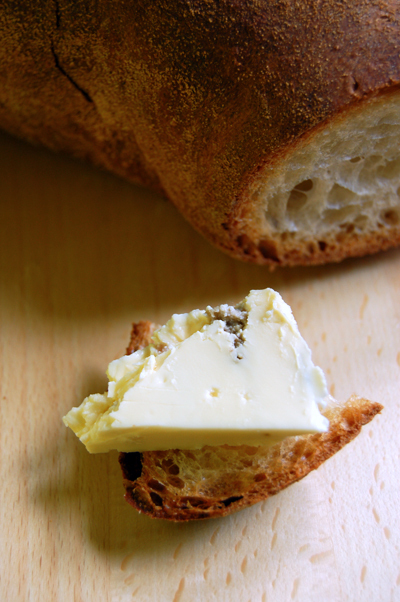 The mould acts to break down the cheese structure and leave it wonderfully creamy and almost spreadable. This cheese usually disappears fairly quickly on a cheese board - it's the type that should be served on crusty bread and in generous portions. Other uses - savoury tarts, pasta sauces, pizza toppings or a wonderful companion to Prosciutto and figs. I adore this cheese although I almost had to sit down when recently 11/2011 I read the price per kg after I had purchased some at South Melbourne Market.